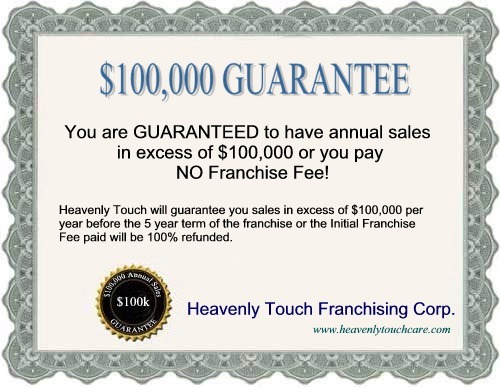 Heavenly Touch guarantees IN WRITING that each franchise will generate annual sales income in excess of $100,000 before the 5 year term of the franchise expires or the Initial Franchise Fee paid will be 100% refunded. 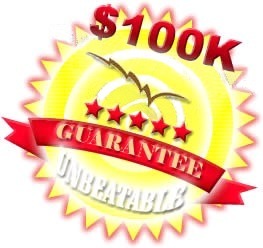 We are so confident in our proven system and the fact that we have a 100% success rate that we are proud to offer such a guarantee. The option is yours, or you could choose to sell your franchise at any time and the profits will be 100% yours as you will be in business for yourself, but not by yourself.